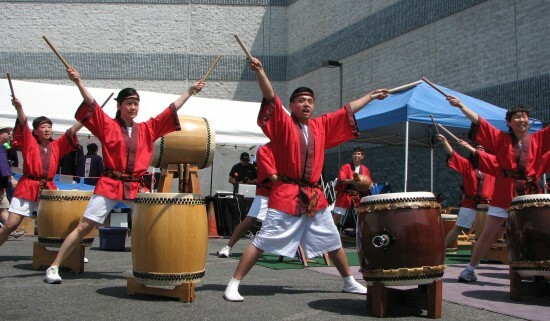 Centenary United Methodist Church in Little Tokyo held its annual Arigato Bazaar on May 4, featuring food, games, prize drawings, handicrafts, a silent auction, a country store, and entertainment. 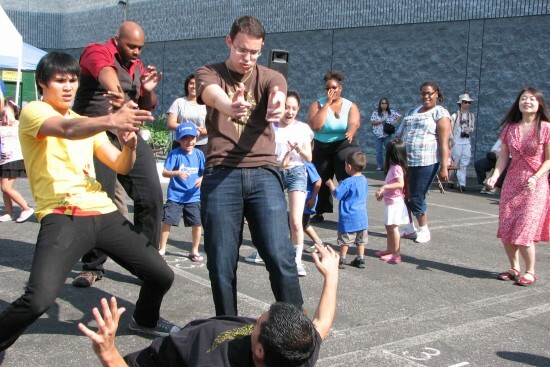 Above: Contestants in the church’s second annual dance-off showed off their moves to constantly changing music, from the Electric Slide to the Macarena to Gangnam Style. 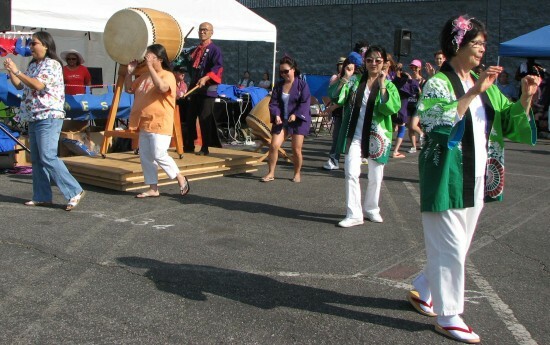 The bazaar’s third annual odori event was a preview of the upcoming Obon season, featuring the Meiji Ondo Dancers from San Fernando Valley Japanese American Community Center and George Abe on taiko. 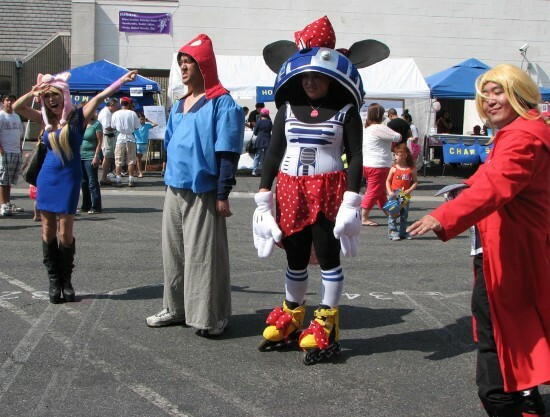 The bazaar’s first anime/cosplay contest drew four contestants. 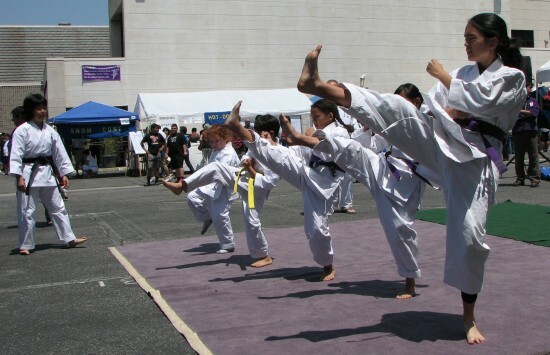 Kids and adults from Matsubayashi Shorin-ryu of Little Tokyo, under the direction of Art Ishii, gave a karate demonstration. The menu included chicken teriyaki (left), strawberry shortcake (right), and such Centenary specialties as Haute Dogs and Smashed Potatoes. Left: Centenary’s Rev. Mark Nakagawa. 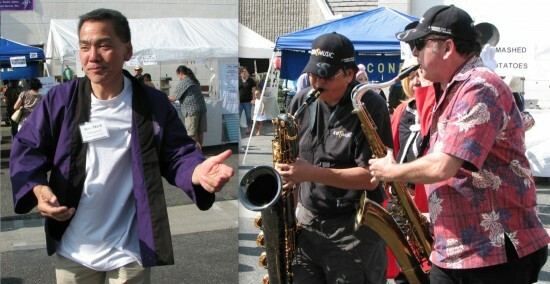 Right: Sax Men from Mars. 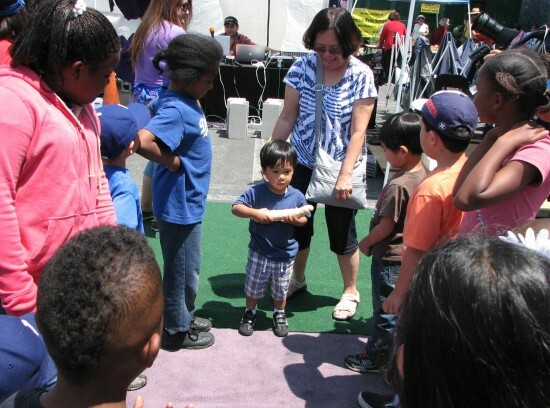 Activities for kids included Pass the Daikon, a variation on Musical Chairs. 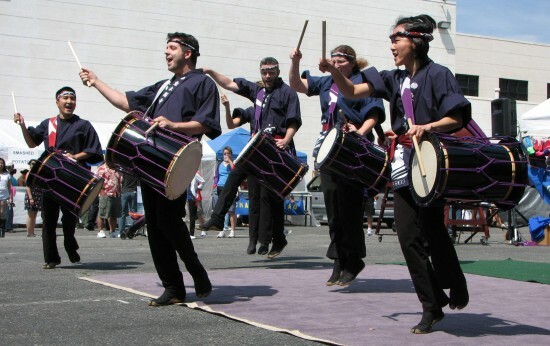 Centenary’s Chikara Daiko (top photo) and Bombu Taiko from Higashi Honganji performed separately and together.